Dress up your engine bay! Check out these custom machined aluminum oil filler caps for the N14 MINI Cooper S engine. Choose from black, red, or silver. 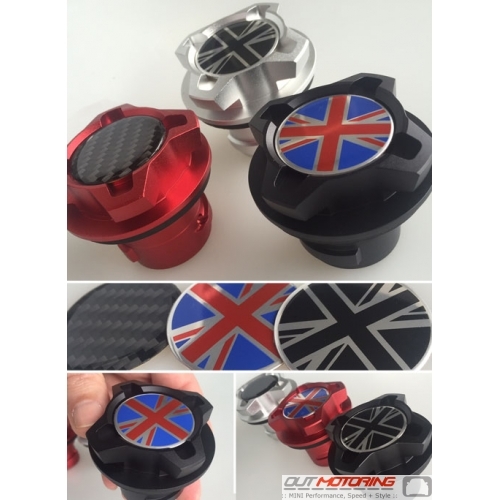 Each cap comes with union jack, black jack, and carbon fiber accents. At $29.95, this is an easy and inexpensive way to add an outstanding detail to your MINI! 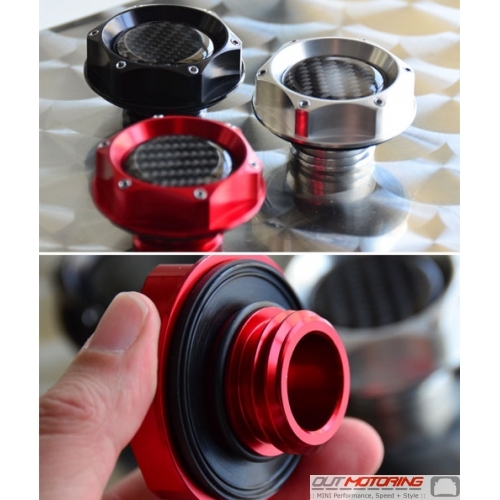 This Gen1 Machined Aluminum Oil Cap makes a great replacement for a lost or cracked factory oil fill cap. It looks fantastic and is priced right at $22.95. Choose from red, black, or silver. Each cap features a faux-carbon fiber accent.